A frustrating player. Has much potential, if he really gets to know his game, and what he is good at, and what he is not so good at.. because he isn't good at everything. I still feel he is trying to work that out, and this is a little worrying because he has been been at United, Monaco, Lyon (B). He seems to still, not understand how to be that effective player over 90 mins. He is scoring goals, which is the key for him.. he arrived scoring goals, and we looked at him as a No 9. I still feel this is where he should try and develop, his all round game. Has pace, power... he should be a frightening player, and yet..... he rarely is. Why is that? Part him, part Mourinho I think... I really hope this is changing. He needs to improve his left foot... learn to go outside of his man, consistently... lead the attacking aspect of United's game, and be that reliable focal point. Set the tempo for the game.. not for 15/20 mins... but week in week out.. (like Zaha for Palace...) that's where he has to develop. Martial could be fantastic... but he needs more of an identity, as what we can expect from him for 90 mins, every week. We still, haven't quite got there yet... but things are looking better. If he cannot get confidence from how things are going now, then I do wonder. But NO.. he is not a £400k a week (or even close to it....) player. He wants anything like that, he can jog on as far as I'm concerned. Score 20+ goals in a season. Then do it again. Then we can start talking. The bitterness in this post is hilarious, I'm sure you were one of the players wishing he would be sold and saying he wasn't all that talented? The guys was asked to do a job last night to protect the team and did so amazingly. He then drove the team on and played the biggest role in our come back. About as complete a performance you'll find against a superior team. 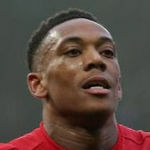 You also have to keep in mind that Martial may personally feel that, with being better than Alexis, a contract offer below that of him may cause him to feel undervalued whereas, elsewhere, the standard offer he'd receive would most likely have him up there with the highest earners of most clubs, and the ones higher are most likely some of the best in the world, which Alexis currently isn't anymore. 200k a week with a sizeable portion tied into number of appereances, output etc... The same Sterling gets in his new contract is fair. No other elite club would offer him more than that at this moment (its a doubt any of them would even match it), and if he continues to blossom here and becomes one of the world's best, the only other place where he can make as much money while competing for the highest honours is Real Madrid. Why would any agent ever agree to that considering the number of times he's been unfairly dropped at this awfully run club? His lack of appearances are purely down to the managers preference. He's done everything to make himself available and has an excellent fitness record. You are very naive if you think big contracts given to new signings don’t heavily influence renewal negotiations with existing players. It’s called “wage structure” and it’s quite well known. A significant chunk of the Sanchez wage will be his signing on fee. It's not a like for like comparison for another year in Martial's case (as in he couldn't leave for free). However whatever deal was on the table a few weeks ago is probably not going to be enough after recent form. If that is what you consider a 'complete performance' then our expectations are drastically different. Yes, I do have my questions re Martial.. which I have mentioned in the post. Not bitterness at all. I don't understand why people choose to be so emotional on here. Martial drove the team forward. Please. He woke up for sure... but for me, what turned that game around wasn't Anthony Martial, it was the substitutions, and the respective impact of those players. Punditry and commentary carry much celebrity nowadays... and this is the result. People talking about a complete performance, because a wide player tracks back during a big game. Sorry, that isn't unique (to me) and doesn't suggest some quantum leap in Martial's value. The guy had a good ten minute spell. But talk of 'complete' performance is folly. I’d imagine before he signs he’d already have some assurance about his involvement in the team. It’d be pointless to discuss how much he’ll get if that’s not cleared first. Absolute quality!! Just pay whatever's required for him to sign a new deal. For all the people talking about Martial not earning as much with another club than at United, you’re ignoring one very big thing. United have not competed for any major honors since Martial has been here. Sure he may not earn as much as Sanchez here or at another club, but a player may be more willing to compromise on wages if there are other positives to being at the club, which there are very few of currently, besides our wages. It’s all well and good saying “we only want players who want to be here” but that’s really not a practical ideal to run a club by. Players will want to be here when we’re winning important trophies and competing properly at the highest level. Until we reach that level again, we can’t say “we’ll you won’t earn this amount elsewhere, get stuffed” to our most talented/2nd most talented player and best attacker. Realistically which top European teams he'd guarantee to start on a regular basis and able to match Utd financially? back in the French national team. I need one extended GIF of his last 10 minutes last night. Man I'd like to see a wall of shame of posts claiming no top club would be in for him should we sell him. There was one occasion where he played a series of 1-2 and drive into the box but Fellaini fecked up the final lay off. God knows if he could have scored. I thought the same at first, but when they showed the replay it looked like a defender got his foot in there before Fellaini. That play also led to the freekick Mata scored from, so it all worked out in the end. Utd are still likely to offer him more money then most other clubs would without getting near what Sanchez earns. He does seem to be working harder without the ball too. I dont know if his fitness is better now (before it seemed like he wouldnt track back, and would save that energy for going the other way). Now it seems like hes getting up and down. And hes closer to their goal when he gets the ball. Obviously a run in the team helps and he does seem a confidence player. Glad hes still a United player. He's working harder and reaping the rewards. Glad he's back in the France squad as its rewarded hard work. Great news for the lad. More confidence for him. He's becoming our main player. Great news. This should spur him on. I think he was again our best player yesterday. Most of our (we did not exactly have that many though) quality plays ran through him. Martial/Pogba and De Gea. We need to have all of them on long term contracts (Pogba already is) and build the side around them! Get a right sided version of him and we’d have a devastating attack. Yep. They are only 3 players who we can't lose. Others can be replaced. Couldn't have said it any better myself to be honest. He actually put a shift in tonight. Some lovely moves up top too. I think there was one moment where he suffered from cement feet that I remember but if he does everything else like tonight the rest of the time it doesn't matter so much. This is the Martial most knew could come about if he put the effort in. Great to see it happening now. He has been since he returned to the team. His workrate has doubled, in possession and out of it. Yeah. Although especially visible last night I thought. Proving me right this Mr Anthony Martial. Never lost faith in the lad. He's yet to reached his 2015-2016 level; when he does, we'll have a monster of a player and Mbappe will be talked in the past tense. Correct but it would've helped if he was playing regularly. You cannot show your potential if you don't play. First time he started 6 straight games for Jose. He once played 19 straight games under LVG. It's all about game time. He missed out on a world cup medal becase he wasn't playing and that's quite frustrating. I know I would be. Is this the last international break of the year? I thought he was playing exactly as he did before he was dropped? He missed out on a WC medal through average to poor performances for France, although his United form didn’t help. He’s such a talent he doesn’t need 6 straight games to pick himself, he showed that upon his arrival in England. Paul Ince just compared him to Eden Hazard. Said nobody will want to play against him at the minute. He should certainly take confidence from last night. He really came into it in the latter stages. Before that he looked a bit timid. Off-the-ball movement still needs to improve massively - still feels like he's only giving 70% and you're screaming at him to make runs when the play's developing on the other side of the pitch. But his quality on the ball is outstanding. Don't worry, I've been one of the ones most critical about his lack of off the ball movement. You can see at least SOME improvement to want to come in and intereact and basically just have a go. The goals in my opinion have given him that confidence and have helped his game. That Bornemouth first goal where he hung off the defender and then came inside and straight down the barrel unmarked for the strike at goal just inside the box was exactly what was missing from his game in the last couple of seasons. He's doing more defensive work, he's coming inside to collect and facilitate play and he's generally trying harder. I think you're correct he can take his game further but he's always been able to do that he just needs to get his head right mentally and the confidence will definitely help that going forward. I want to see him still more centrally as the guy who initiates the teams attack from deep as a SS. He does it at LW anyway - our whole teams attack seem to be really down to his ability start an attack by falling deep to receive the ball & taking a defender on - the only problem with that is that it comes from only ever one angle - the left. The rest of our attack seems a bit damp on the other side & to me that is not down to a lack of a RW. If we have martial as the central guy playing a bit deep with Sanchez & Rashford on either side of him - that would allow those two to make off the ball runs that martial is not the best at. Also they provide better defensive intent to back the fullbacks. Play Sanchez & Rashford as wide forwards with martial in the middle starting the attacks & that's the best that can be done in my opinion. I don't have an issue with trying that out but Sanchez, while good at pressing up front, is a liability when he has to track runners. After a corner yesterday we cleared the ball, Lingard ended up at ST, Martial at RW and Sanchez at LW. Sanchez completely turned off and allowed Juve to create an easy 2v1 against Shaw which created a threatening opportunity for Juve. He's just not disciplined in that sense and never has been. I'd experiment with that setup in a match at home we're likely to dominate against lower level opposition, but I wouldn't trust Sanchez to execute in that capacity in matches against top level opposition. Sounds like how we played him under Van Gaal. Reminded me of that game against Southampton I think it was when Martial looked a ready made striker. I would like to see him in the box a lot more, imagining his turning and close control in those central areas so close to the goal makes my eyes pop out of my head a bit.